The Atmosphere - a great sounding and super-flexible Reverb - sounding from classic to out-of-space featuring 16 custom programmed reverb patches. 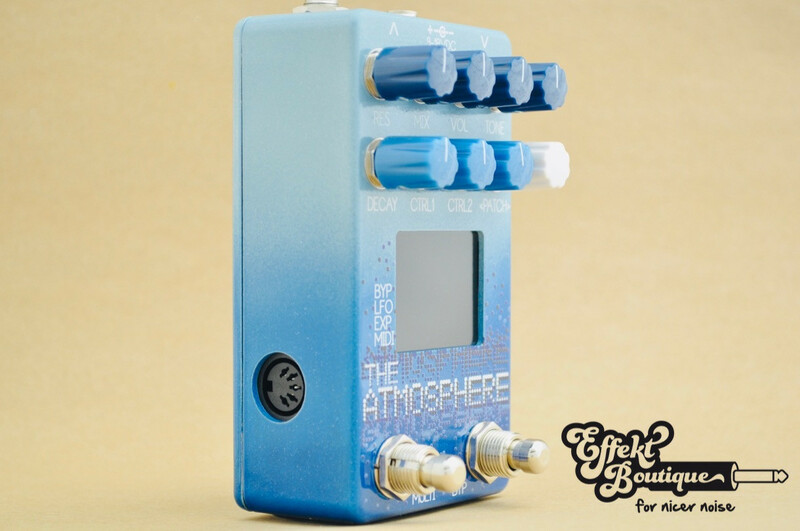 I think you all probably know about the reverb pedal we've been working on for over a year.. the most powerful and versatile Dr. Sci pedal ever.. a reverb pedal worthy of replacing the popular Reverberator... well it's finished and we are now taking orders for it! 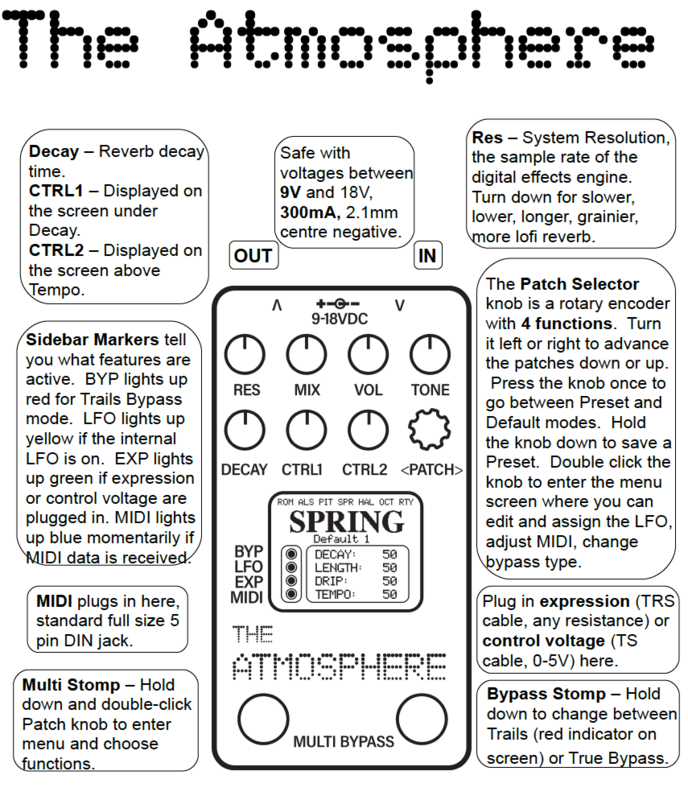 It's called The Atmosphere and it features 16 custom programmed reverb patches. 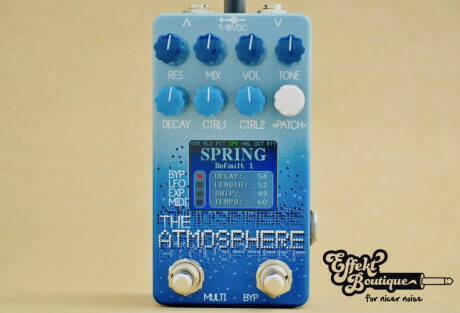 The patches cover classic reverb sounds like hall, room, plate, we did an awesome spring patch, there's a couple shimmer style octave patches, a really fun pitch shifting patch, and even a reverse/delay reverb patch. We're really proud of the sounds of The Atmosphere, we put hundreds of hours into making them. - full MIDI implementation, expression and control voltage input that can be assigned to 6 parameters, a preset can be saved for each patch, very powerful built in LFO for modulating parameters, you can even pick your favourite bypass screen. - safe with 9-18VDC power, comes with a 9VDC power supply.